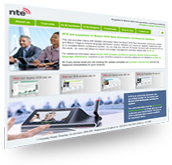 This site provides clients with detailed information about the Bosch DCN wireless conference system and Bosch Integrus infrared language distribution system. Whether you require a replacement part or a complete wireless Bosch conference system, we can help you. We are UK based, but work with companies all over the world - for more info about our export and project management activities, please read about us. 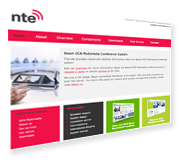 For additional information about Bosch DCN Next Generation conference systems, Bosch DCN wireless, Bosch DCN Multimedia, Integrus language distribution or any of NTE's products or services please do not hesitate to contact us. Or if you know what you are looking for, please complete our quotation request form and we will respond immediately to your enquiry.